Seth Curry scored 18 points to help No. 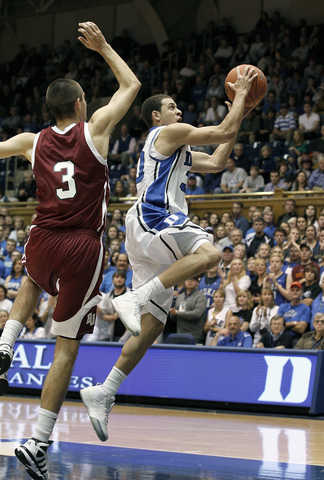 6 Duke beat Bellarmine 87-62 in an exhibition game Saturday night. Mason Plumlee added 16 points on 8-for-8 shooting for the Blue Devils, who pulled away with an 18-2 run midway through the second half. 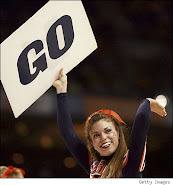 Miles Plumlee had 14 points and Austin Rivers had 13 points. The Blue Devils shot 56 percent from the floor despite a 2-for-14 effort from 3-point range. Duke, which missed its first 11 3s, got its first from Tyler Thornton with 8:43 to play. Curry delivered a four-point play on Duke’s next possession to push the lead to 73-52. Jeremy Kendle and Luke Sprague scored 13 points each for Bellarmine, the reigning Division II champion. The Knights weathered a 15-0 run by the Blue Devils early in the first half, pulling to 32-31 before Duke extended its advantage to 38-33 at halftime.